As a married couple, I’m sure that you and your husband don’t agree on everything. And although it’s fine to have a difference of opinion. There are going to be times when you have to make decisions as a couple, even on the things you don’t agree about. So how do you do it? We’ve compiled a short list of tips that should help! 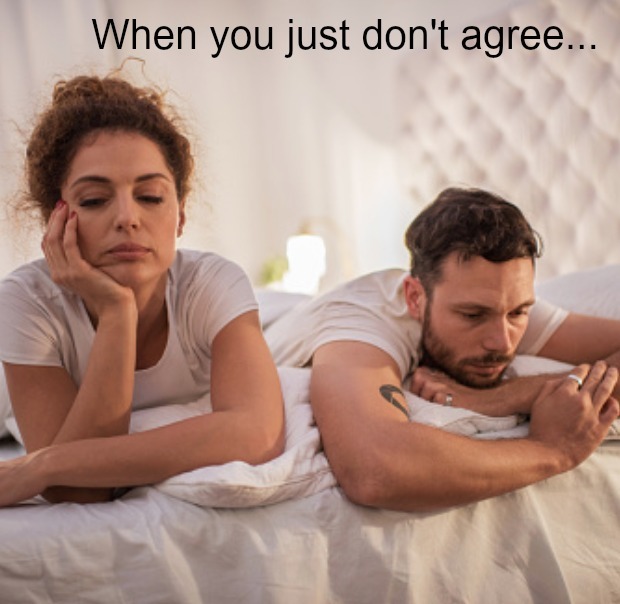 Making sure that you hear what your partner has to say about the issue as well as expressing your point of view means that you will both have all the info you need to make an informed decision together. I can’t even count the times my husband and I have done this, and it does work. Listing all the positives and negatives (yes, written on paper) gives you a visual of the subject and can sometimes be an eye opener, especially if you’re the one hanging on to the decision that has more negative points than positive ones. What I mean by this is, you might be making a decision about something that is way more important to your spouse than it is to you. I always try and look at it like this: How is the decision really going to affect me, our kids, or our life? If it’s something that doesn’t really have much of an influence at all, I’m more inclined to give in and just go ahead with whatever my hubby thinks, even if it wouldn’t have been my first choice. After all, if it’s not life or death, chances are we’ll be okay (eventually…sometimes taking a wrong turn can take awhile, but we always seem to come back around). I’ve known some spouses that are competitive by nature. Before you know it, they’re more concerned about who’s right and who’s going to ‘win’ and get their way than the actual outcome. Don’t let that be you. Yes, we all like to be right sometimes. But don’t let that steer you off course when you have a decision to make, especially when it’s an important one. How would you feel if you were more concerned about being right and your husband went along with your idea and it went totally wrong? Yes sometimes mistakes are made, but you don’t want it to be about something you were just trying to be ‘right’ about. Sometimes you both really might not know the answer to your problem, but you’ll get there. Don’t expect flashing lights with the answer, because it doesn’t work that way, trust me. Pray, talk & just trust. Being married can be tough, especially making decisions. But truthfully, that’s a huge part of being married. Your spouse is a unique person with his own set of ideas. Marriage is meshing together two completely different individuals and coming up with a single outcome when you make decisions. It’s not always easy, but it is possible. How do you make decisions as a couple when you don’t agree? Feel free to leave your tips in the comments, we’d love to hear them!